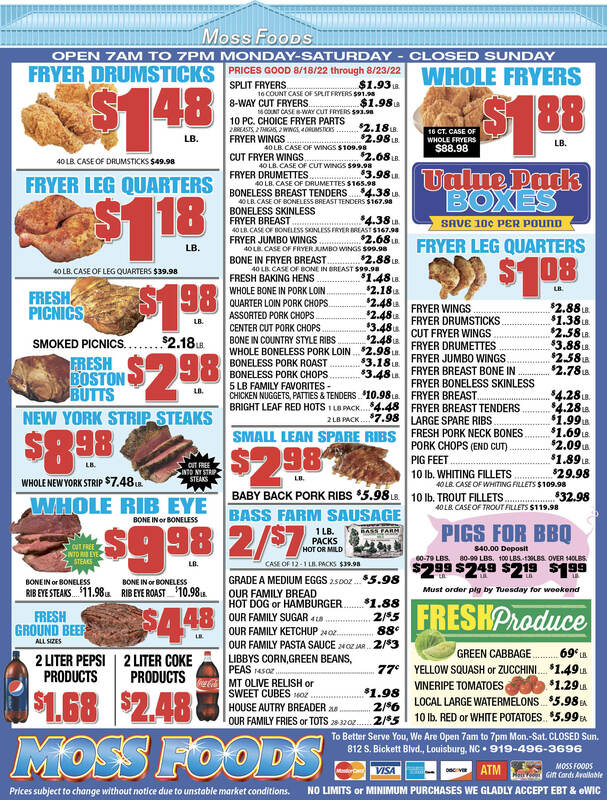 Showing 36 articles from April 11, 2018. LOUISBURG -- As expected, the Franklin County Board of Education will be asking for a significant increase in school funding for next year -- $1.13 million to be precise. That request, approved by the school board Monday night, will go to county commissioners with the hope that it will be part of the county appropriation for the 2018-19 fiscal year which begins on July 1. 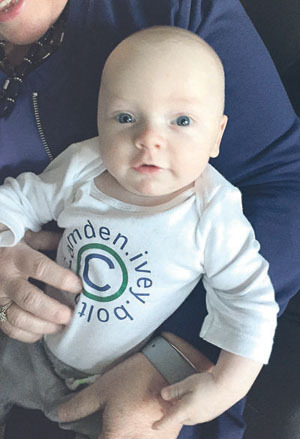 HENDERSON -- The Golden Leaf Foundation provided grants to bolster Franklin County education and health care, namely a hospital venture that could be delayed a month or so. Last week, the Golden Leaf Board of Directors voted to provide $2.75 million for various projects, including renovation efforts at Duke Lifepoint Maria Parham's proposed emergency department in Louisburg and computer equipment for all middle and high school students. 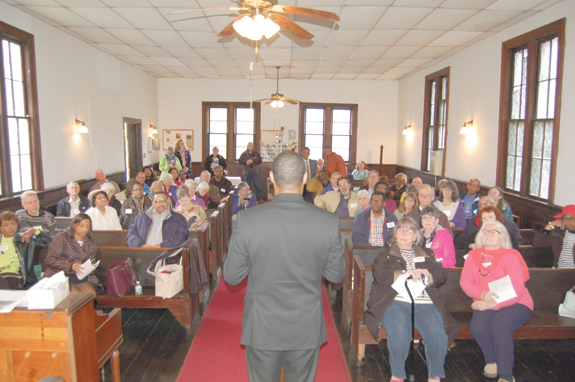 LOUISBURG -- In 1892, a man who would become the first African American elected bishop of the Episcopal Church in North Carolina took a trip to Franklin County, looking to establish a church in Louisburg. Henry Beard Delany only found one African American Episcopalian -- believed to be John H. Williamson -- in all of Franklin County, according to history. FRANKLINTON -- United Way volunteers focused their efforts on an organization that is targeting Franklinton youth at a time when they need the most direction. 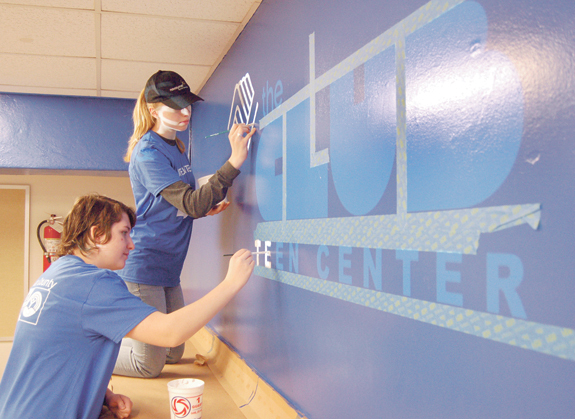 The Boys and Girls Club of North Central North Carolina opened its Franklin County unit in Louisburg in December of 2006, providing children with an after-school safe haven, as well as a place to do homework and learn skills, ranging from academics to character development. 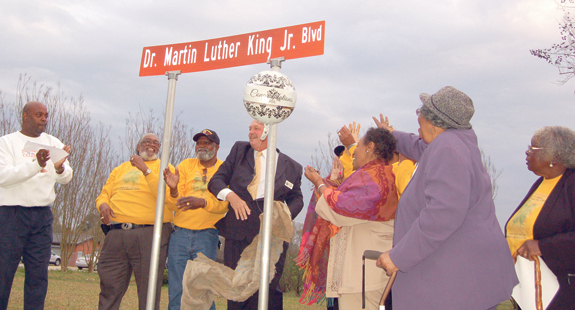 FRANKLINTON -- As an educator, Elic Senter said locating the town's newly unveiled Dr. Martin Luther King Jr. Boulevard near a school was appropriate. 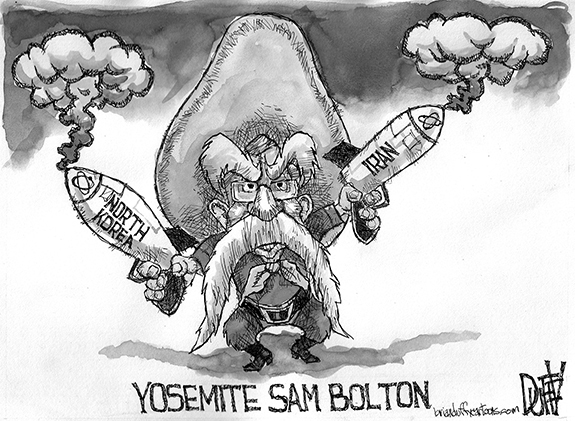 It can prove to be a teachable moment. "Franklinton Elementary School has not always been [Franklinton Elementary]," said Senter, a former mayor. A lot is happening in 'The Burg' this spring! With a background of jackhammers, backpack blowers, large trucks, an occasional cement mixer as well as a couple of those small trac loaders, Bickett Boulevard has been changing in recent days. We're getting sidewalks! Well, at least the west side of the roadway is getting sidewalks and that's a huge improvement for people who have to walk or choose to walk along instead of in the busy roadway. Franklin County is changing -- and changing faster than most of us realize. Last year, our growth as a percentage of total population was, for apparently the first time ever, slightly greater than Wake County. And, unless there is a national crisis or a huge economic downturn, that growth is likely to continue and probably will accelerate, especially when U.S. 401 is four-laned to Louisburg. It's often said that politics can be a dirty business. Last month, Youngsville Mayor Fonzie Flowers, Commissioner Terry Hedlund and others proved that to be true. During the Board of Commissioners' March meeting, Flowers noted that driving around town left him aghast at the view. "I know it's not just a town issue, it's countywide," he said. "Trash and litter is just terrible. CASTALIA - Charlene Collins, 68, died Sunday afternoon, April 8, 2018. Funeral service was held Tuesday, April 10, at Red Bud Baptist Church. Burial followed in the church cemetery. RALEIGH--Dr. Mozelle Carver, 91, died Tuesday, April 10, 2018. Mozelle asked in lieu of a funeral or memorial, that friends and relatives honor her life by making a donation to a charity. LOUISBURG--Frankie Hildebrand died peacefully in her home on Thursday, April 5, 2018. A pot-luck celebration will take place at the home of her daughter Michelle at 140 Crooked Creek Run, Louisburg, Saturday, April 14, 1 pm to 11 pm. LOUISBURG--It is with great sadness and heavy hearts that the family of Judy Page Harris announce her passing at her home at Lake Royale, Louisburg, NC on April 5th, 2018 at the age of 70. She fought hard with grace through the medical challenges she had been dealt, but God saw fit that she had fought long enough and He brought her home to rest. LOUISBURG--Rachel Leonard Morgan, 89, of Rolesville went home to be with the Lord on Saturday, April 7, 2018. Born on January 24, 1929 to the late Sant Steven and Dollie Gupton Leonard. She was also preceded in death by her husband, John Elliott Morgan, Sr., and several of her siblings. She came from a big family with 12 children. She worked as a CNA in Fayetteville until she retired and moved to Rolesville to be near her family. She dearly loved her family and enjoyed cooking for them. 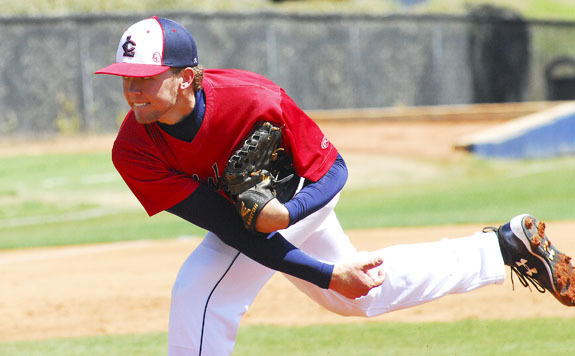 LOUISBURG -- With last-place and league newcomer USC-Union scheduled to be in town last weekend for a four-game series, Louisburg College baseball coach Blake Herring certainly hoped the weatherman would cooperate -- even with a tenuous forecast. Herring got one-half of his wish as last Saturday's twinbill was postponed -- and will not be made up as per Region X rules. 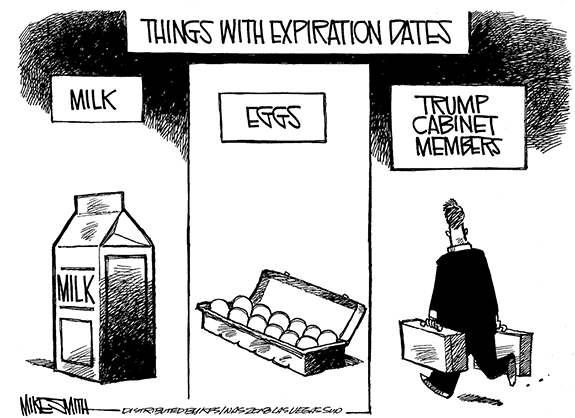 WAITING GAME. 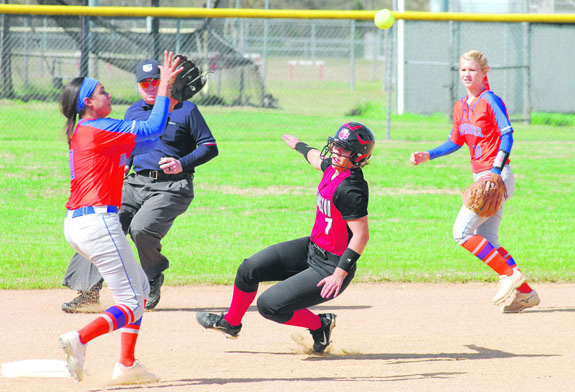 Louisburg High School shortstop Kaylee Saunders (left) waits for a throw at second base as North Johnston's Jada Santiago slides in during last Thursday's tourney action. 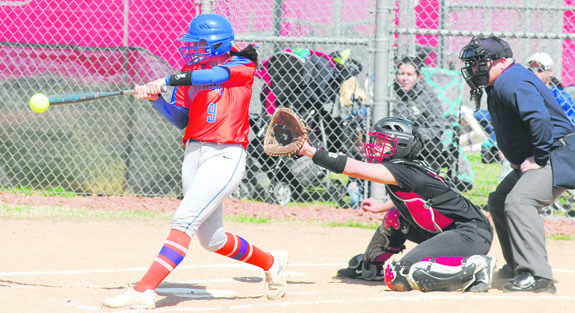 KENLY - While many of their contemporaries were taking in some relaxation over Spring Break, members of the Louisburg High School softball squad were preparing to test themselves against one of their toughest opponents of the season. That was exactly what the LHS coaching staff wanted when they scheduled the Lady Warriors to appear in the North Johnston Tournament last week. HE'S SAFE! 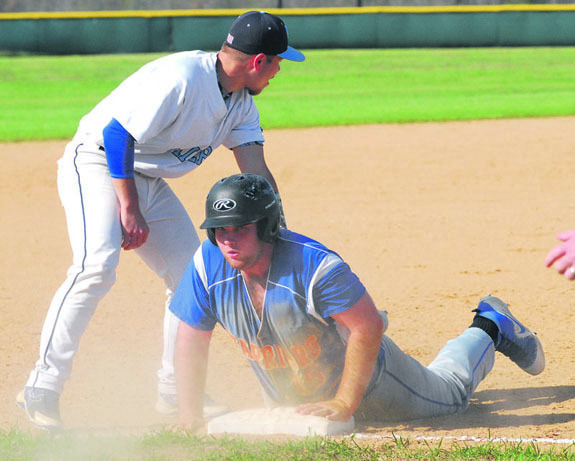 Louisburg's Trevor Wilder slides into third base. 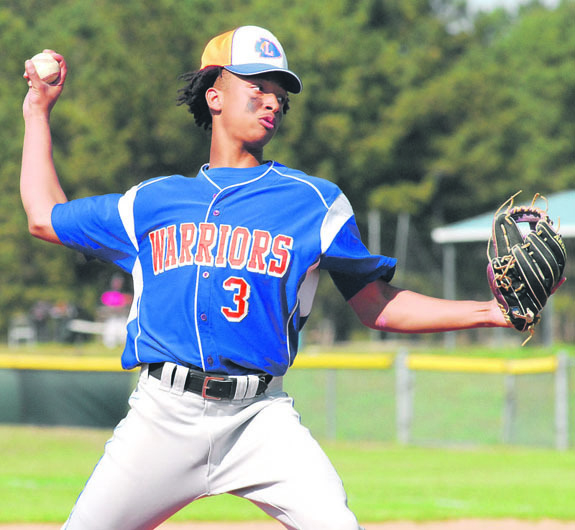 HENDERSON -- Fresh off a strong performance at the Tarboro Easter Tournament, the Louisburg High School baseball squad continued to excel when the Warriors resumed their Northern Carolina Conference schedule Tuesday at Southern Vance. Last week, the Warriors were sharp in reaching the finals of the Tarboro event before falling against Jefferson Forest from Virginia. 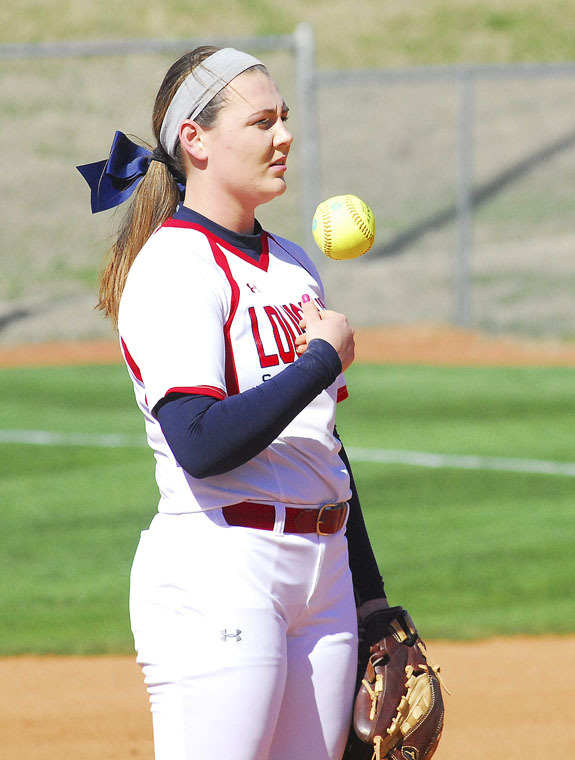 LOUISBURG -- Growing pains are inevitable when a newcomer takes over as the head coach at the college softball program. And that's exactly what the Louisburg College Lady Hurricanes experienced when Eric Lee took over at LC following a successful two-year stretch under Michelle Carlson. 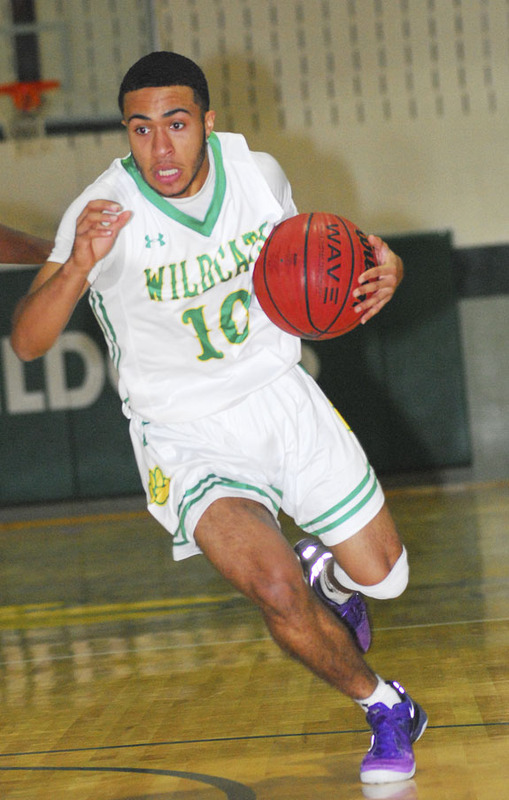 BUNN -- Good friends Ghage Kenan and Delton Davis made the most of their lone year together as members of the Bunn High School boys basketball squad. Kenan and Davis, both senior transfers, had big years as the Wildcats went 15-10 and came within one victory of qualifying for the Class 2-A State Playoffs. Each player has earned a spot on the North Carolina Basketball Coaches Association's All-District 6 Boys Team for the 2017-18 campaign. BUNN -- The Bunn High School football program will conduct a car wash on April 21 with proceeds going to the team's registration fees for the upcoming Fellowship of Christian Athletes Camps. Donations will be accepted. The event will be staged from 9 a.m.-1 p.m. at the parking lot beside the Bunn High School Baseball Field. HENDERSON -- The sign of a good team is not necessarily how badly it beats an opponent -- but how it is able to scratch out a victory even when not performing at an optimal level. 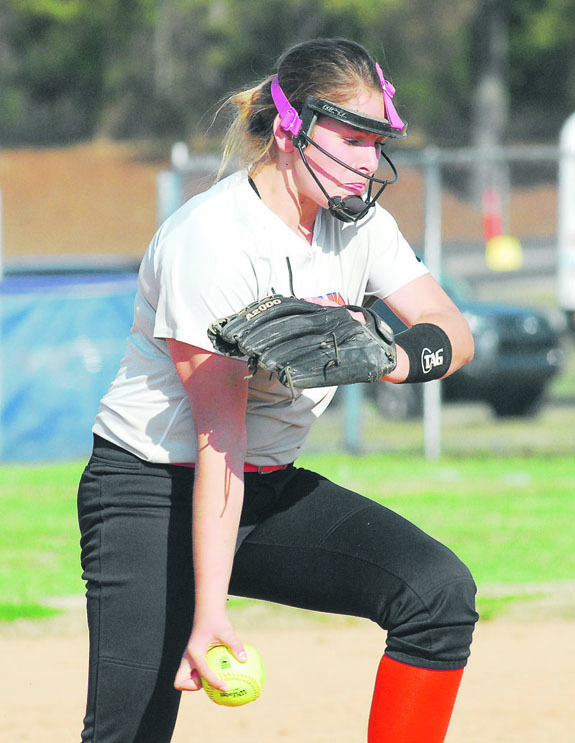 That was the case Tuesday for the Louisburg Lady Warriors, who weren't at their peak during a Northern Carolina Conference softball matchup at Southern Vance. ZEBULON -- Catcher Max McDowell had the lone run-scoring hit in game one and catcher Robie Rojoas had the same in game two as the host Carolina Mudcats edged out a doubleheader sweep of the Dash 5-2 and 2-0 on Sunday afternoon at Five County Stadium in Class A Carolina League baseball action. The twinbill sweep lifted the Mudcats into a three games to one series victory over the visiting Dash. Louisburg College first baseman Darius Nobles (left) finishes up a pickoff play during Sunday afternoon's Region X twinbill against USC-Union at Frazier Field on the LC campus. 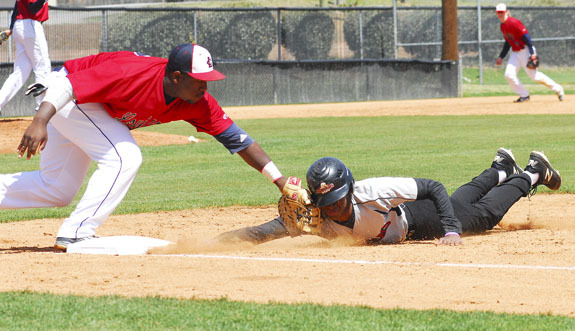 Louisburg High School second baseman JyQuan Taylor (left) catches a runner attempting a steal during Tuesday's decision against rival Southern Vance. Louisburg High School's Chelsea Roberson rips a base knock for the Lady Warriors during last Thursday's tournament softball game versus host North Johnston. Louisburg High School freshman Ja'heim Brown was the mound victor during Tuesday's road baseball triumph at Southern Vance. FAST FRIENDS. 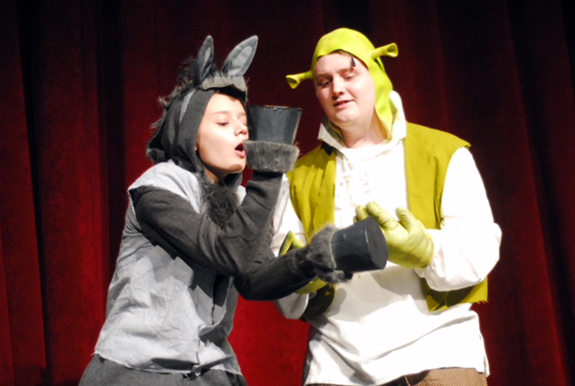 From left, Aubrey Anderson as Donkey and Jake Nelson as Shrek. FRANKLINTON -- The Franklinton Area Community Theater (FACT) will begin its three-day run of Shrek The Musical Jr. this Friday at Franklinton High School. The production is based on Oscar-winning animated film and Broadway musical. Part romance and part twisted fairy tale, Shrek Jr. is an irreverently fun show with a powerful message for the whole family. 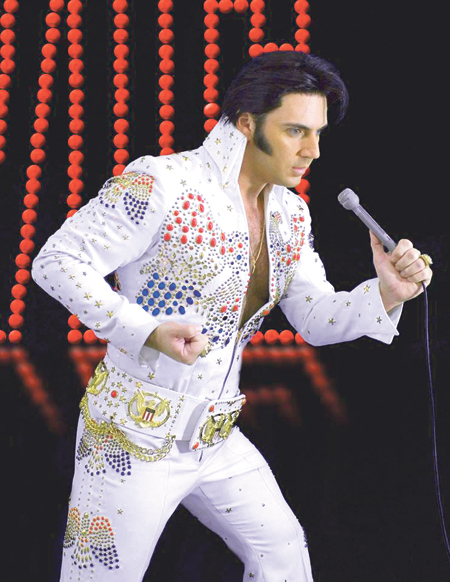 The Louisburg Lions Club will present award-winning Elvis tribute artist Stephen Freeman for a special benefit concert beginning at 7:30 p.m. Friday, April 27. Louisburg College will host the event in the Seby B. Jones Performing Arts Center (JPAC). Freeman has been a tribute artist since 1998. Fans from around the world in 2010 and 2011 voted him Elvis Tribute Artist of the year, as polled by Elvis Presley Enterprises Inc.
Franklin County Schools may be going out of the country soon in an effort to recruit and keep teachers in local classrooms. The Board of Education on Monday night was introduced to a program known as VIF International -- also known as Participate -- which says it can provide districts and schools with "highly vetted international teachers" from overseas who enter the U.S. on a five-year Visa and stay here an average of 4.2 years. The Franklin County Board of Education approved the promotion of five principal resident interns into permanent assistant principal positions for the 2018-2019 academic year. 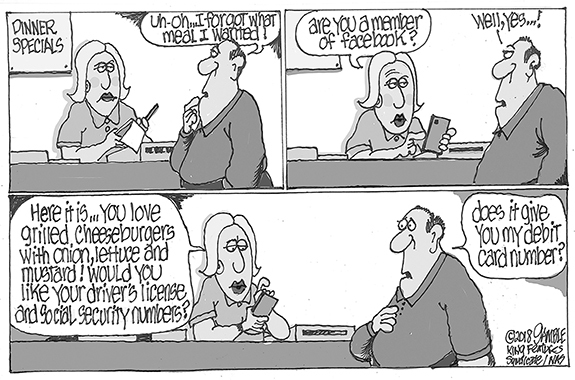 The approval came during Monday night's Board of Education meeting. The five interns were a part of the most recent Northeast Leadership Academy (NELA) cohort through North Carolina State University. 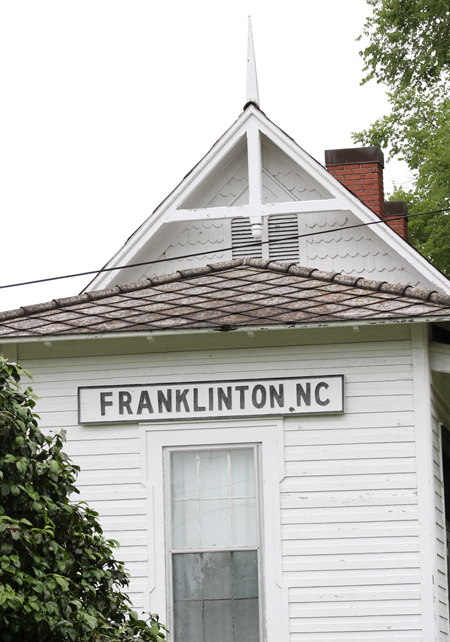 The Franklinton Train Depot, the last known surviving structure of the Raleigh and Gaston railroad, and the current home of the Franklinton Woman's Club (FWC), is showing its age. Built in 1886, the Depot served as a hub for passengers and freight until officially going out of service in 1973 when cars and better roads decreased the need for railroad travel and transport. YOUNGSVILLE -- Allegations that suspects shoplifted tuna, soda and candy bars led to a tense confrontation with police and an eventual drug arrest. Officers seized more than 100 packages of heroin, and recovered two king-sized candy bars, eight pouches of tuna, soft drinks and three peanut snack packs they allege were stolen from the Sheetz on U.S. 1.